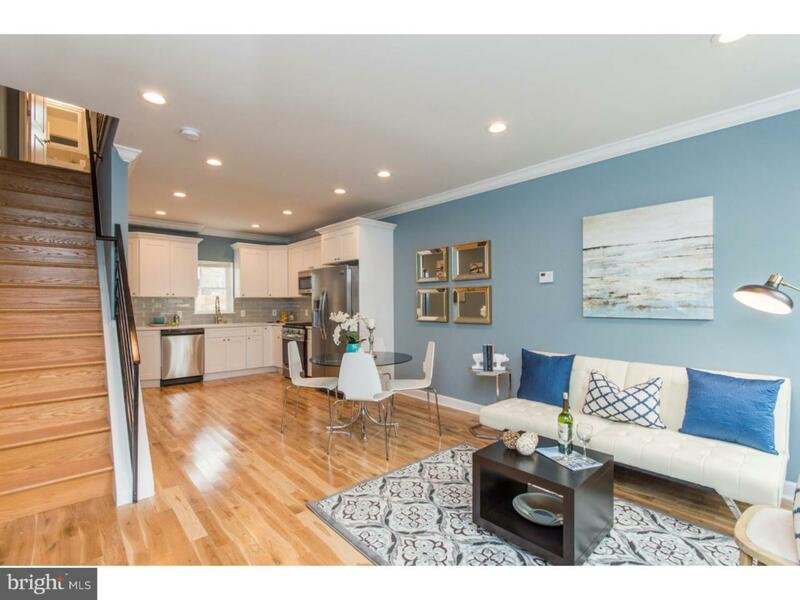 This completely renovated beauty, in one of Philly's fastest developing neighborhoods, could be exactly what you've been looking for! Fully loaded with tech features including video intercom doorbell. Enter the main floor to find a beautiful and spacious living/dining area, hardwood floors, recessed lighting, and plenty of space. Head back to the kitchen with a modern backsplash, high-grade quartz counter tops and stainless steel appliances. Downstairs, the fully finished basement makes for an incredible den or entertainment room, with lots of natural light and tile floors. The main basement also features a convenient powder room, washer/dryer, and separate utility room. Continue upstairs to the second floor, you'll find two bright bedrooms with plenty of windows and closet space, as well as a large and beautiful full shared bathroom. Outside you will find a quite backyard for fun! Be the first to live in this renovated home with approved 10 year tax abatement!